the most exciting few days of the Summer, The McMahons Faughs Summer Camp takes place from 8-11th August, with the only requirement is for everyone to have FUN, thats as much FUN as is physically possible. All details are on form. 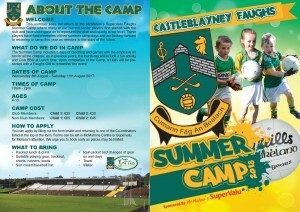 We ask you register as soon as possible to secure place and to allow us to plan out the the Camp. 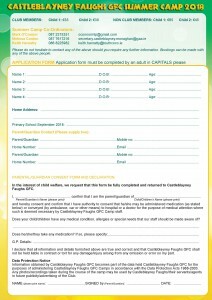 Forms available instore at McMahons Supervalu and can be left for Melissa’s attention. 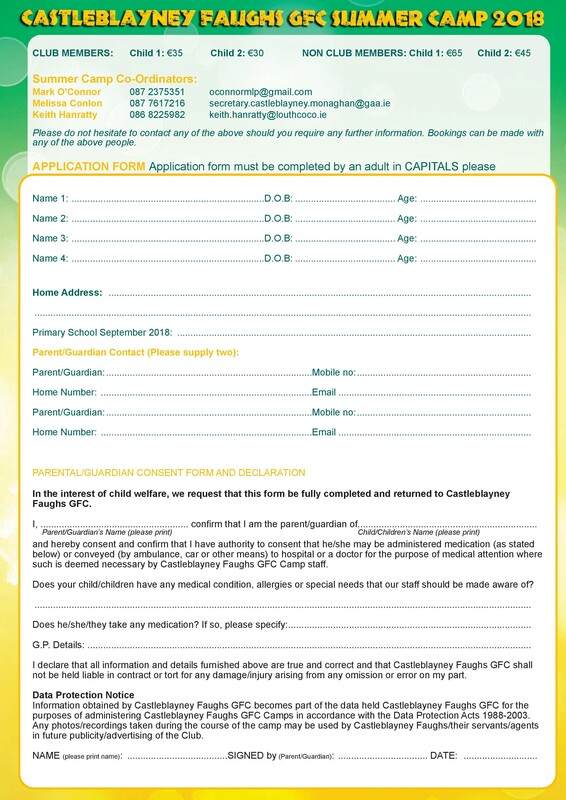 We will also have a pre registration night on Thursday 2nd August at Press Room at Football Field, from 5.30-7pm. So what are you waiting for, get registering…………. Huge Well Done to each and every one of ye!